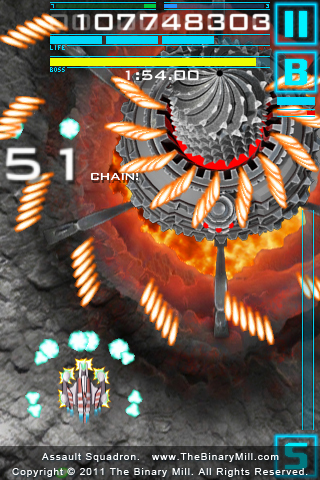 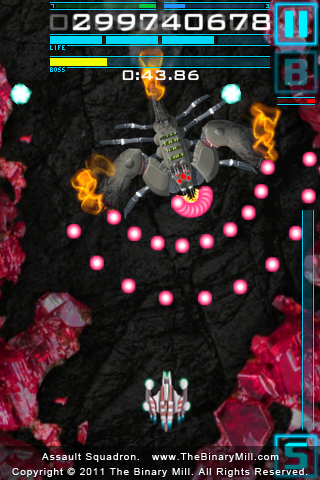 Welcome to Assault Squadron, an explosive and fast-moving sci-fi shoot-em-up. 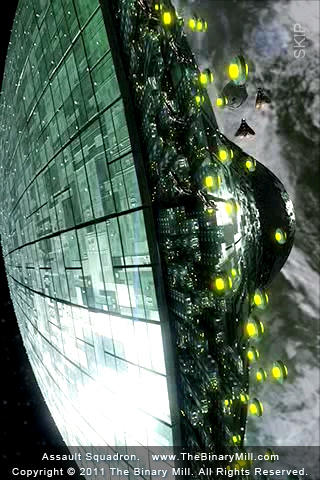 The Global Defense Force (GDF) reports that Earth is under attack by a hostile, unidentified vessel containing thousands of enemy craft. 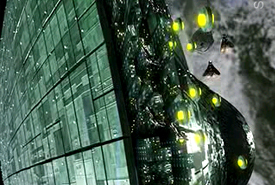 Striking with unwavering precision, the invasion destroys key defensive facilities to leave Earth and its inhabitants at the mercy of fearsome alien attackers. 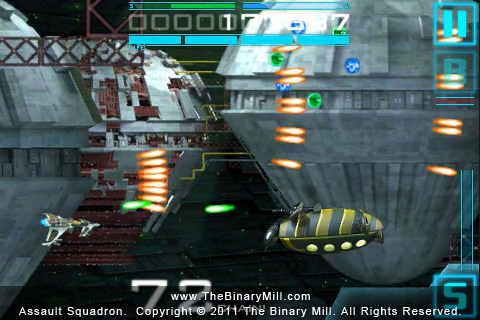 You are a part of the Assault Squadron, an elite tactical space combat force dispatched by the Federal Alliance to defeat the alien enemy. 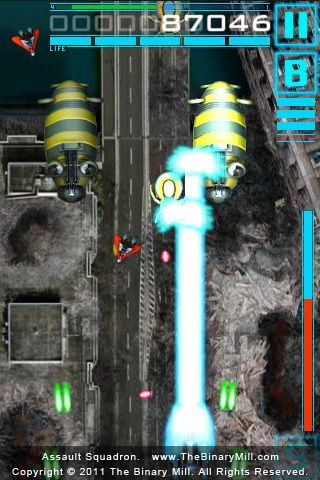 Assault Squadrons explosive sci-fi missions and in-depth storyline will thrill shoot-em-up fans and casual players as they battle to save the Earth. 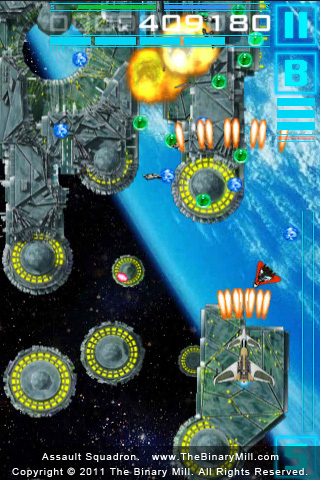 Four Unique Playable Ships: Each ship has its own stats and customizable, upgradable weapon systems and tricks to unleash devastating chain combo attacks and achieve leading high-scores. 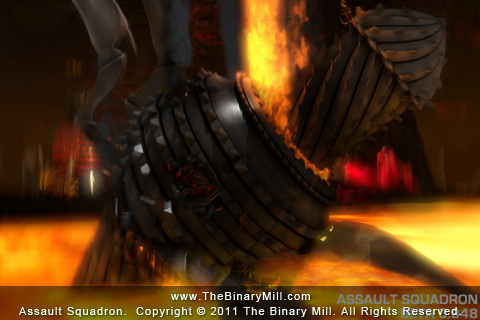 Stunning Firepower: Choose upgrades for an arsenal of weaponry ranging from Vulcan Cannons and Spiral Grenades to Torpedo Missiles and Tri-Vortex Bombs. 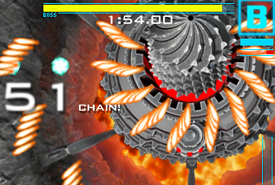 Extraordinary Boss Fights: Unique enemy bosses present a unique, intense challenge accompanied by thrilling cinematic cut scenes. 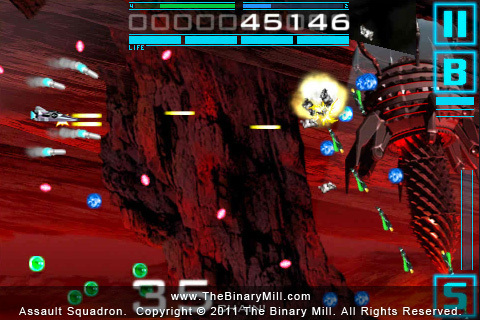 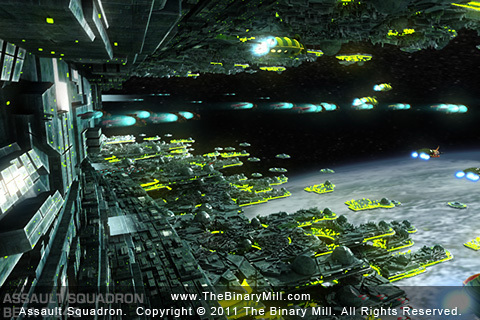 Gameplay Modes: Battle armadas of unique alien invaders separated by full CG cut-scenes in the Campaign Mode. 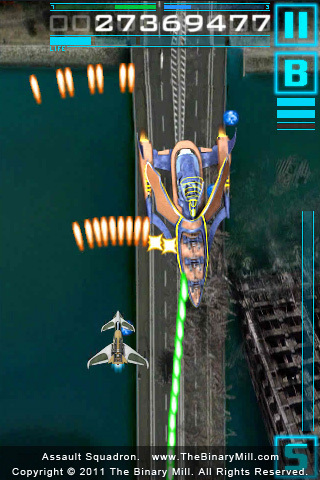 Alternatively you can dive into Arcade Mode and start fighting straight away! 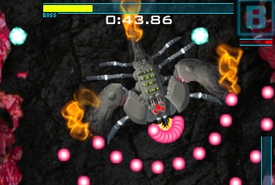 Four Different Control Types: Weave through enemies and meticulously attack with precision via control methods of Touch 1:1, Touch 1:4, Tilt Control, and Virtual Joystick.